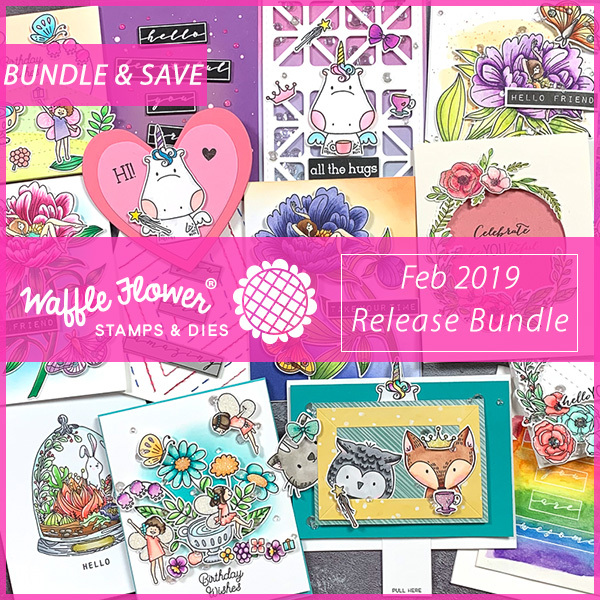 My Cluttered Corner: Waffle Flower February 2019 Release Blog Hop + Giveaway! Sweet, sweet cards. I am in love with the unicorn. The fox in a wreath is so cute. I love that look. Your cards are precious!! I particularly love the fox in the wreath, a good chance to use two of the new sets! This release is awesome!! OMG! The fox peeking out of the wreath is so cute. I love it! 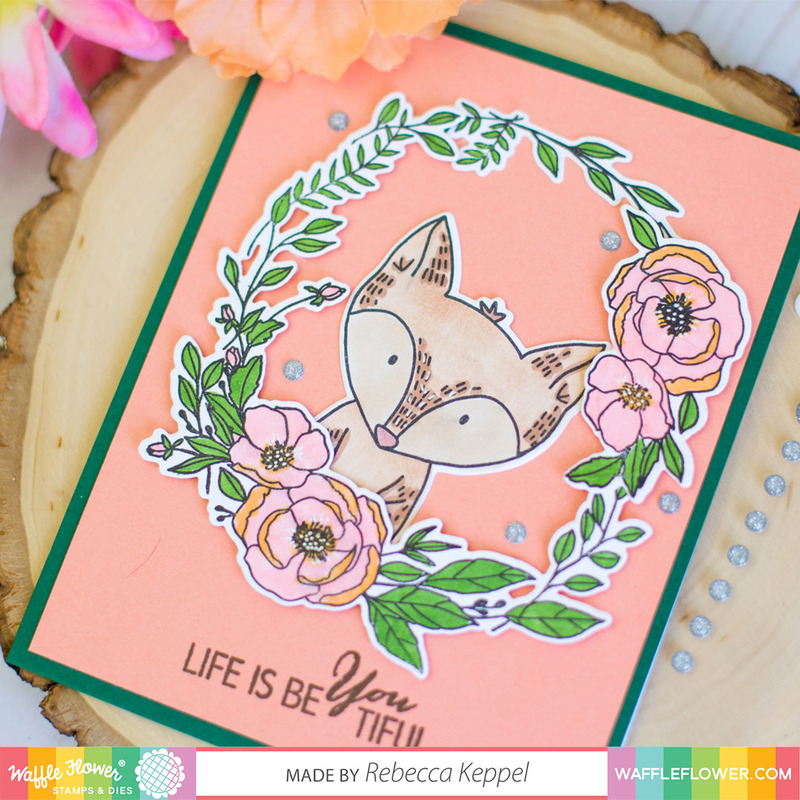 Rebecca your cards are so pretty and I adore the stitching, very nice work! I love these little critters! These are all so sweet! I love those animals! Totally adorable, your samples are so cute and this is a great release! Thanks for sharing these adorable cards. Beautiful cards! I really love all of the new stamps! That unicorn is so stinkin' cute! Thanks for the inspiration! Stunning! I love that unicorn and I love your floral cards! Great soft colors! Nicely done cards! I love sets too! They make crafting so much easier! AS do magnetic sheets for organizing! woo! Super Adorable Cards! I love that little fox-he's so cute. OMG adorable cards!! Great release! Wonderful Cards! I love the unicorn card! All your cards are beautiful! Love the way your combined Be You Tiful with Be Her on the fox/wreath card! What a charming batch of projects! And that stitching on the diamond background is fab!! SWOON!! 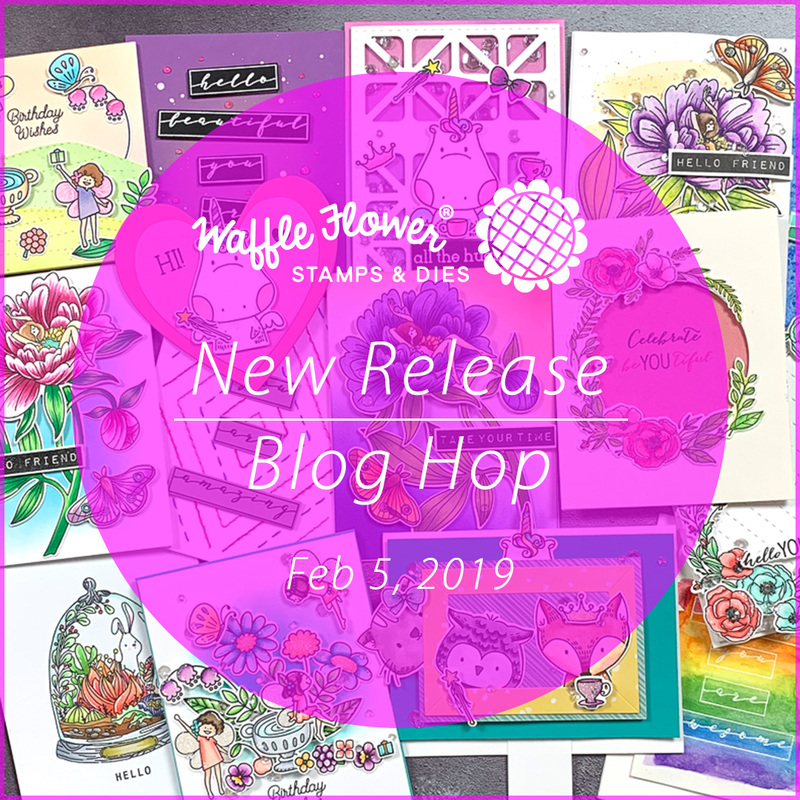 LOVING the NEW Products and ALL of your SWEET Cards!! THANKS SO MUCH for sharing and have a FABULOUS WEEK!! Adorable set of cards!!! I'm in love for heart shaped unicorn card! Too cute!!! Love all your projects...the stitching really puts that card over the top...amazing. Super cute cards. Love the stitching you did on the one. That looks really good! Love the diamond texture die. The stitching is such a great idea! 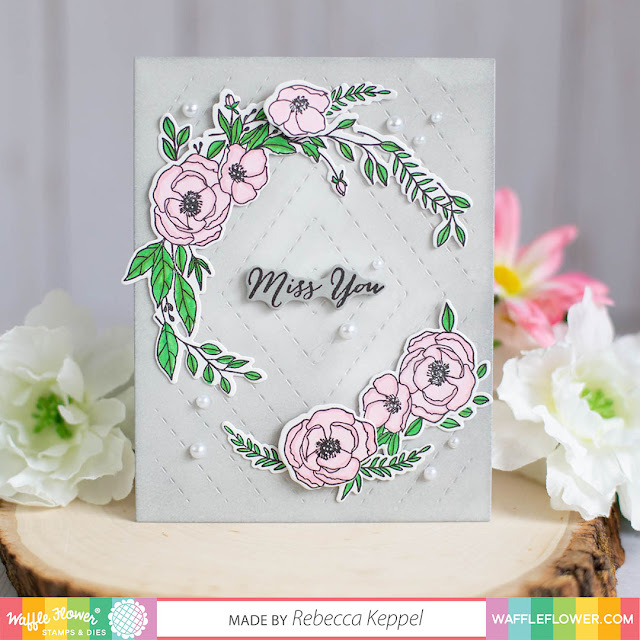 I also looove the "Miss You" wreath card. Stunning! Oooooh, that unicorn is killing me with its cuteness, it's simply too adorable to look at and not smile! Lovely cards, thanks for the inspiration! Love the cute little heart shaped card!! Sooo cute!!! The Be YOU Tiful set is super versatile!! Love it!!! Great job!! Fabulous collection of cards!! I love the stitching you did on one of the cards!! Hi Rebecca, great to meet it & your fabulous work. Loving the heart unicorn card especially & the fun stitched diamond. Thank you for sharing your ideas. Great cards! I especially love how you added stitching to that new cover plate! 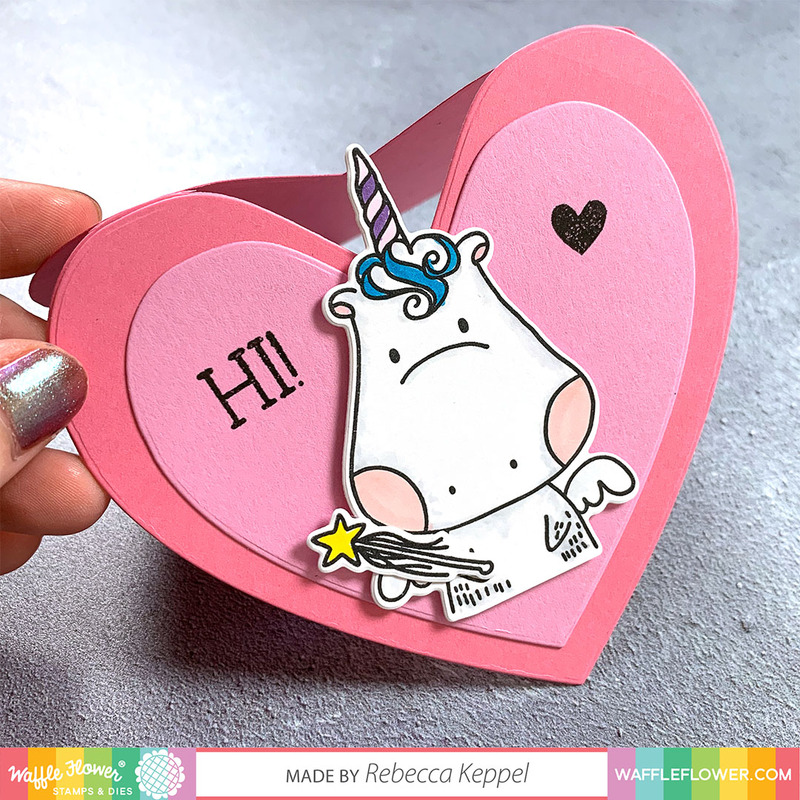 The unicorn valentine card is too much cuteness! I love how the image is mostly the face and it is so so sweet. It looks like it is fun to color and can be made in multiples looking great with just a little bit of color. These characters are all so fun and cheerful! I love that unicorn and the tiny details! Thanks for sharing some great ideas! Very cute cards...those critter are adorable. 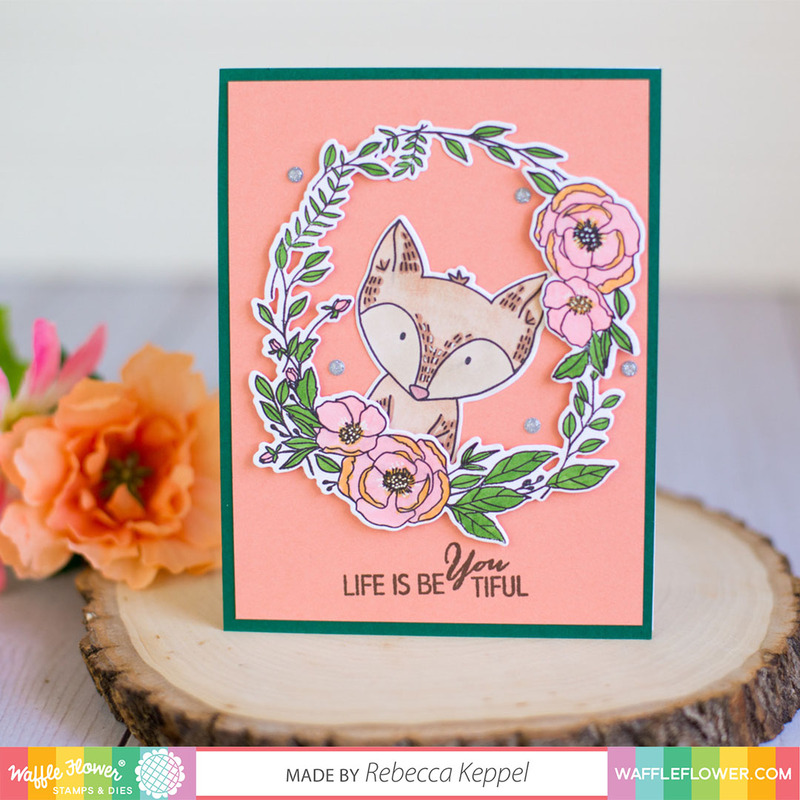 Rebecca, you do amazing work and am in love with the fox from Be Her! Loved how you framed it with the Be You it ful set! Perfection! Such sweet cards - Im in love with that unicorn!